1. 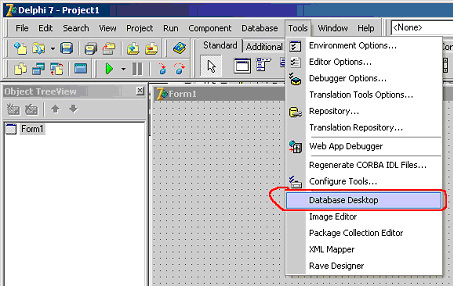 Using Database Desktop utility, create a database table that has the following structure. 2. Input the data for created table (5 records). 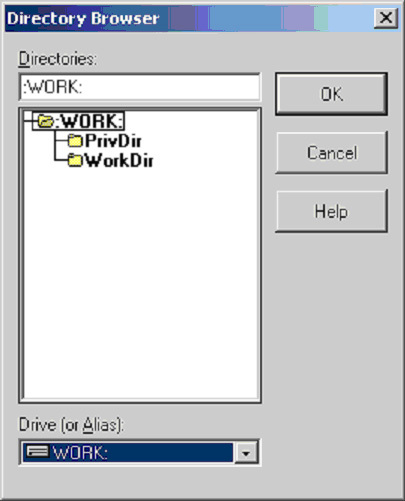 using the command “Database Desktop” from menu “Tools” (fig. 1). The view of window of “Database Desktop” program after running is shown at figure 2. 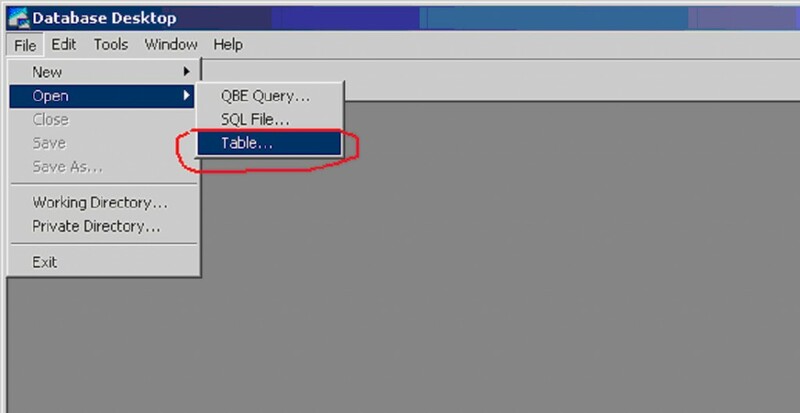 Utility “Database Desktop” allows to create, to modify and to do queries to tables of database in different formats, such as Paradox, dBase, SQL. First of all we create database. Database can contain any number of tables, that is connected between them by several fields. 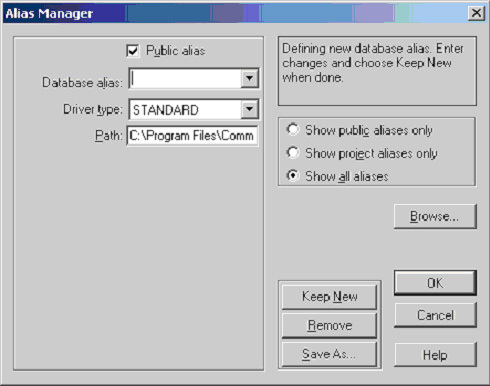 To create an alias of database we need to call the “Alias Manager…” command from menu “Tools” (fig. 3). 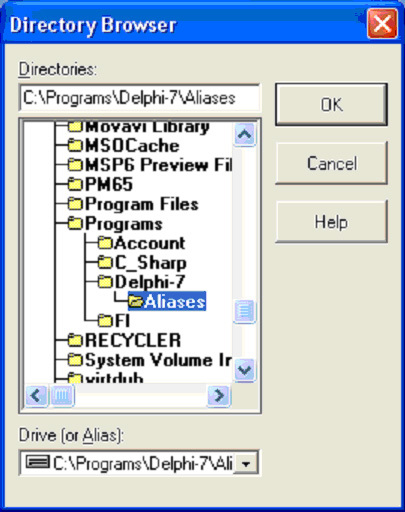 As a result the window “Alias Manager” will be opened (fig. 4). 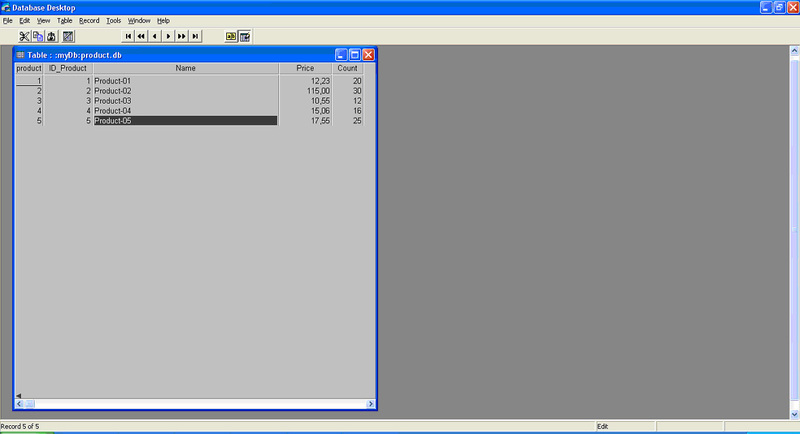 the field “Path” shows the path to the folder, in which the database tables are placed. In the field “Database alias:” type the name of the database, for example “myDb”. 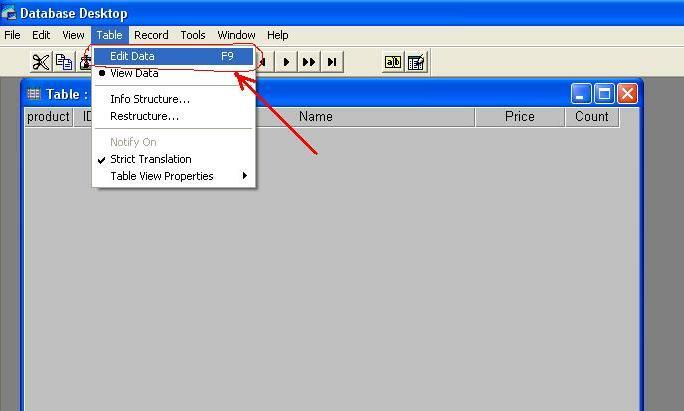 We confirm our selection by clicking on the “OK” button and we return to previous window “Alias Manager” (fig. 8). 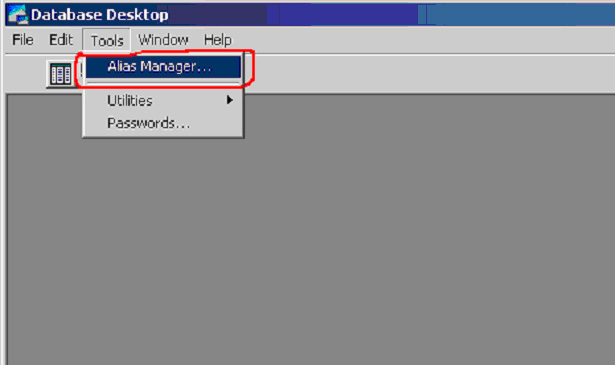 After setting of the path, the field “Path” will be changed in window “Alias Manager”. In the field “Driver type” we leave the type of driver “STANDARD”. Confirm the selection by clicking on the “OK” button. As a result, you are prompted to confirm the entry of the new alias to the configuration file “IDAPI32.CFG” by displaying the following screen (Fig. 9). Confirm the change in the configuration file by clicking “OK“. 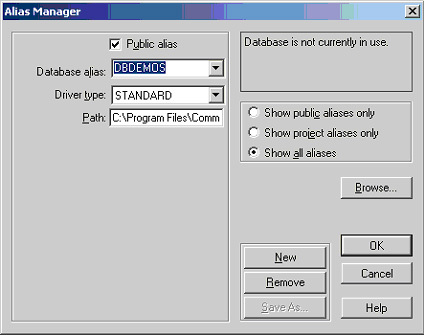 After the previous steps we have a new database with the alias “myDb” and the folder in which will be stored database tables. We leave all as is, and we click on “OK“. Next window proposes to create a table (fig. 12). The window contains several areas. 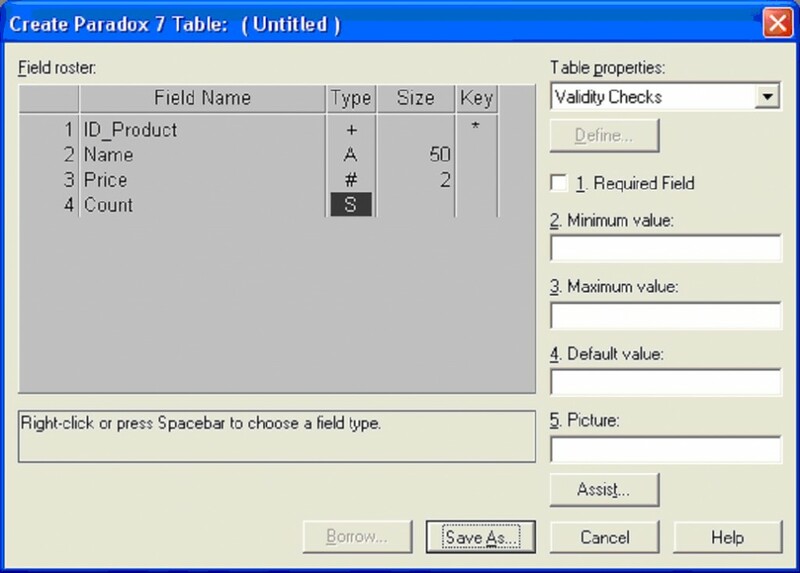 Area “Field roster” is designed to create the table structure. Property “Table Language” allows you to set the language of the table. In this case, no change in the properties of the table we will not do. In the “Field Roster” we create a table structure as shown in Figure 13. 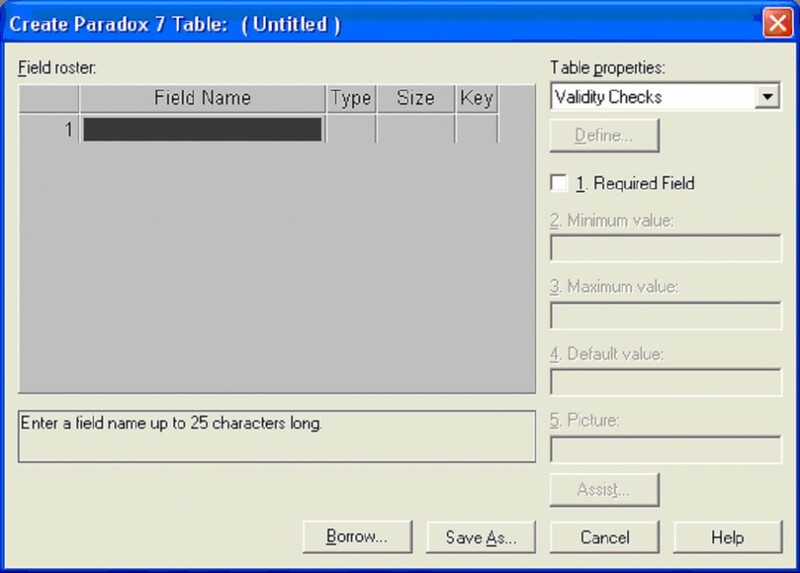 The column “Field Name” we input the field names of the table. for the “Count” field we specify the type Short (integer). Column “Size” allows set the length of field. For example, for a field Name, which is a string of characters, set the maximum length to 50 characters. For field Price, which is a floating point number, set the number of digits after the decimal point of 2. Column “Key” is set as primary key. The “ID_Product” field is a counter, because it is primary key (mark “*”). Setting and removal of the primary key is performed by pressing the spacebar. After creating a structure of table we call “Save As…” command. 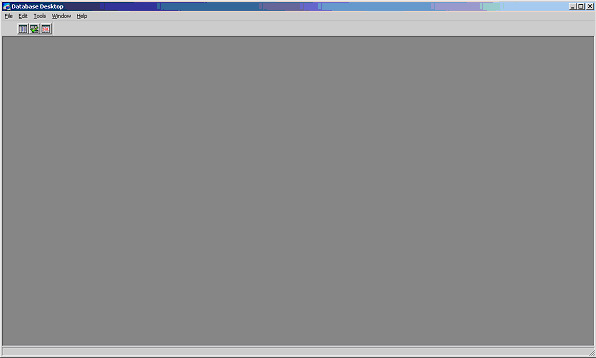 Window “Save Table As” opens (fig. 14). In the window in field “Alias” from the dropdown list we select the alias “myDb” of our, newly created, database. Automatically the corresponding folder will be set (see item 3). In the field “File name” we specify the name of new table “product” (fig. 15). Save the table by clicking at the “Save” button. 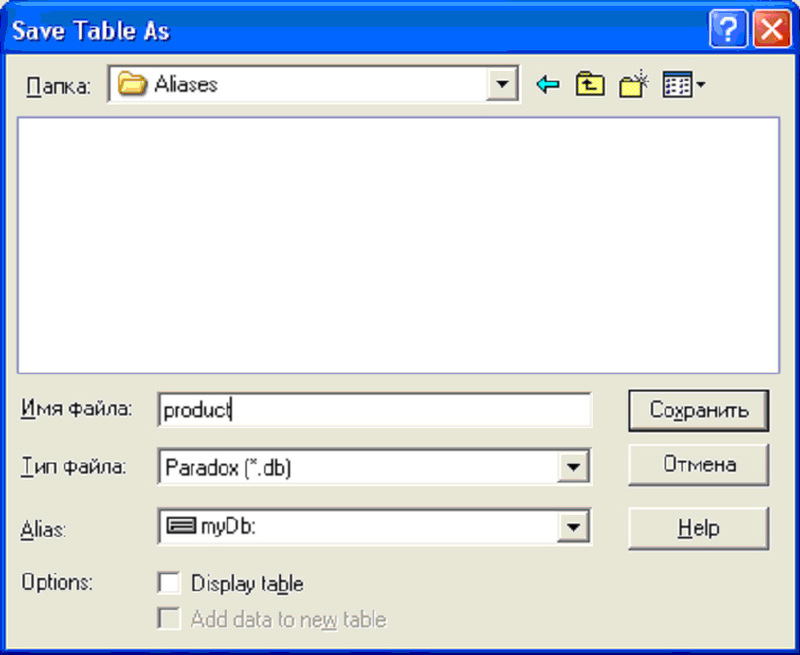 As a result, in folder of database with alias “myDb” appear a file of the table “product.db” in Paradox format. 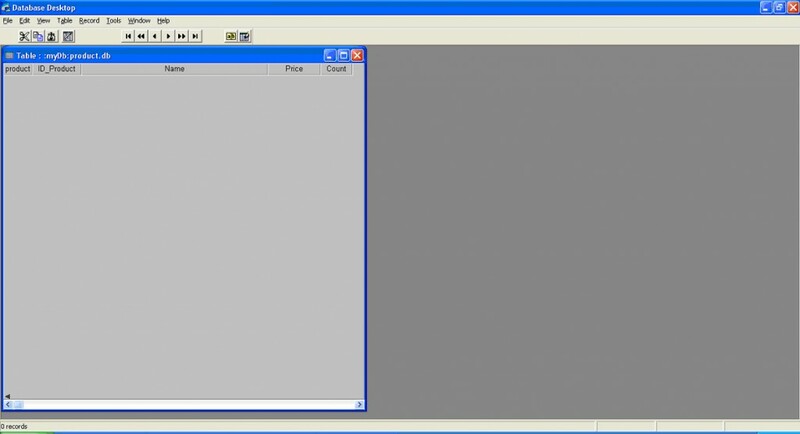 Program “Database Desktop” allows to input data into database tables. 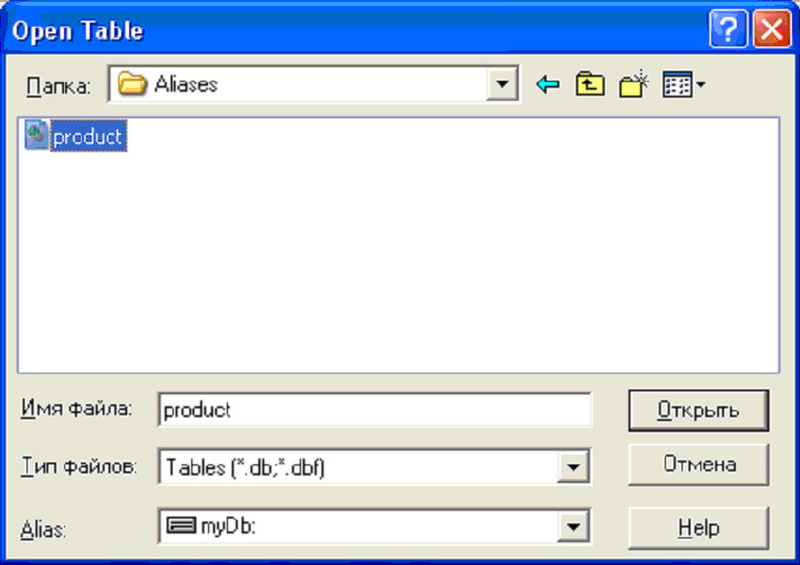 The window of table selecting will be opened, in which, first of all, we select the alias (field “Alias”) and then we select the table “product.db” (fig. 17). To make changes to the table we need to switch it into edit mode. This is done by a command “Edit Data” from the menu “Table” (Fig. 19). Now we can enter data in table. Fill data in table approximately as shown on figure 20. Close the table. 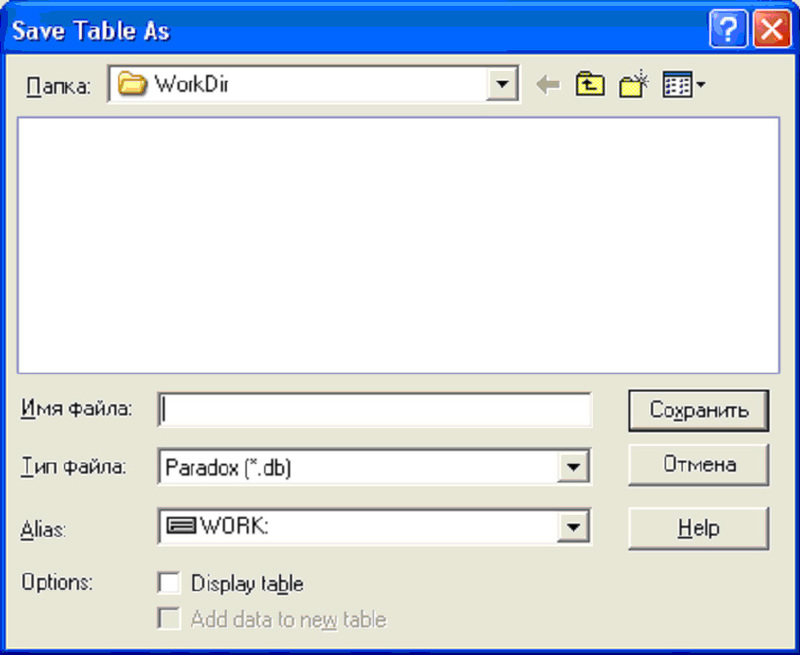 Thus, the table is created using the utility “DatabaseDesktop“.